Ulster have confirmed the signature of Australian international Sam Carter from the ACT Brumbies ahead of next season. No contract length was given in the official release however the Belfast Telegraph have reported that he has signed a ‘multi-year deal’ indicating that he will be in an Ulster jersey for upwards of two seasons. It’s looking like Christian Lealiifano, as Stefan Terblanche did before him, is proving a useful scout in order to persuade Australian players to come to the province. 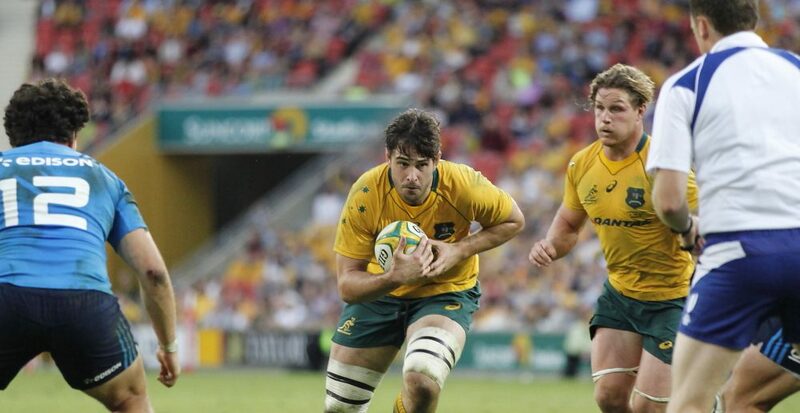 Carter will be the third Brumbies player to have signed for the province over the last two seasons. He has featured 16 times for Australia since making his debut against France in 2014 with his last cap coming in a 40-27 win over Italy in the 2017 June tests. Carter appeared off the bench after the hour mark. Carter has 105 Super Rugby appearances having made his debut in 2011 and currently shares the captaincy with Lealiifano. With Australia only selecting overseas players that have played in 60 test matches and spent at least seven seasons with an Australian franchise, Carter’s appearances for Ulster will not be hampered by international call ups. In truth, I don’t know too much about him, however it appears from reading the Ulster Rugby press release that he has been signed for his leadership qualities. While second row isn’t exactly a problem position of late – Kieran Treadwell, Alan O’Connor and Iain Henderson are quality operators – there’s a lack of depth, something that this signing will hopefully rectify. It’s no coincidence that Ulster had their best seasons in recent years under the stewardship of Johann Muller. The South African World Cup winner was ever present as Ulster reached a Heineken Cup final and a PRO12 final and was able to step up to the mark when Ulster’s Irish internationals were away. Particularly this season, we’ve seen Ulster suffer without their internationals, namely the away league match against the Scarlets and the last game against Benetton. Hopefully Sam will provide the same reassuring presence in the matches during the World Cup, Six Nations and following Autumn Internationals. June 2018 – back injury, out for three weeks. Next Article Women 6N: Teams up for Ireland v England.